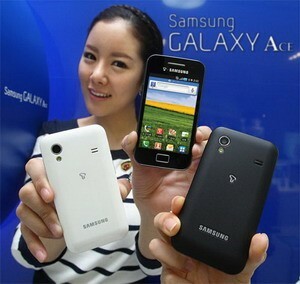 Samsung Galaxy Ace (SHW-M240S) has officially been announced in South Korea, which is available in two colors – Onyx Black and Ceramic White with a price tag of 600,000 won through SK Telecom. Most features of the South Korean variant are identical to the international version that comes with Android 2.2 Froyo, a 3.5-inch HVGA capacitive touchscreen, HSPA, WiFi, 5MP camera with LED flash, Bluetooth, 3.5mm headset jack, 1500mAh battery and microSD card slot (up to 32GB). In addition, the South Korean version of the Android-powered smartphone also boasts a T-DMB mobile TV receiver. 0 comments on "Samsung Galaxy Ace (SHW-M240S) for South Korea comes with T-DMB mobileTV"